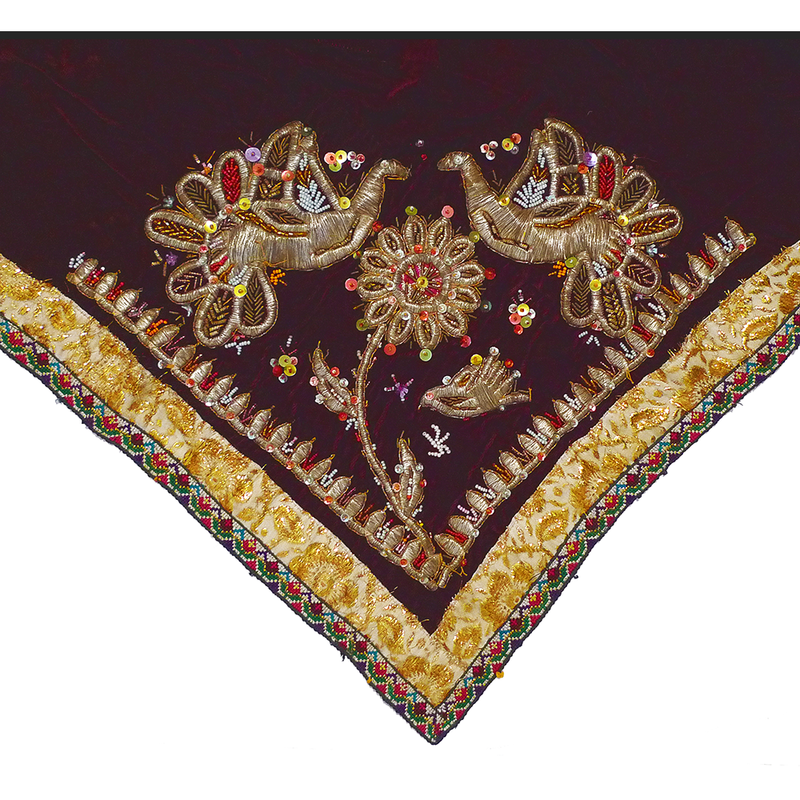 Good condition except for missing “fringe” of dangling tassels; lurex threads need trimming. 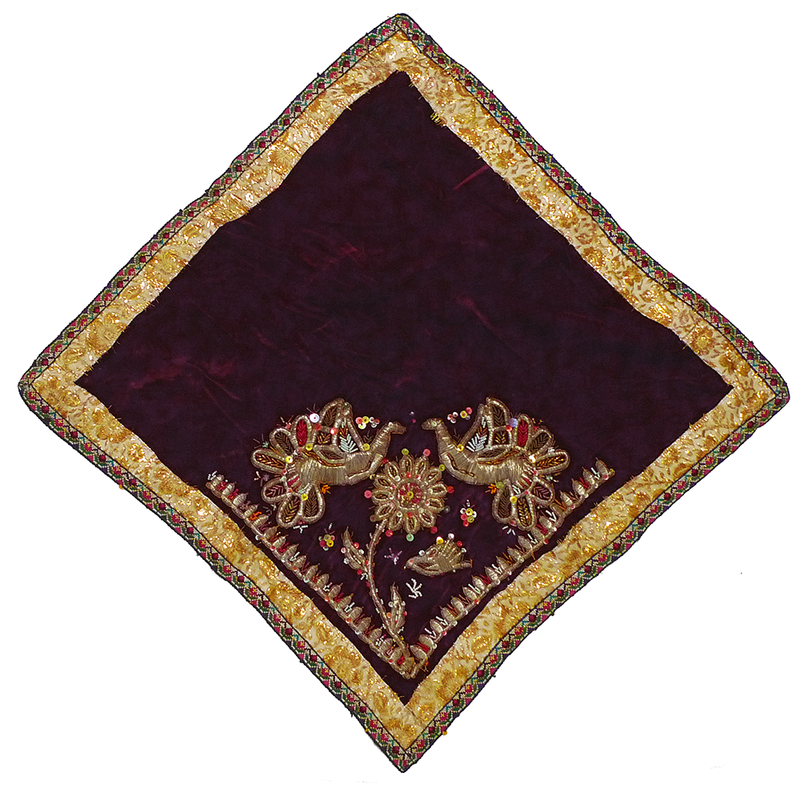 Called a “kulrumal”, fancy embroidered pieces like this are a part of certain traditional Uzbek and Tajik wedding ceremonies. 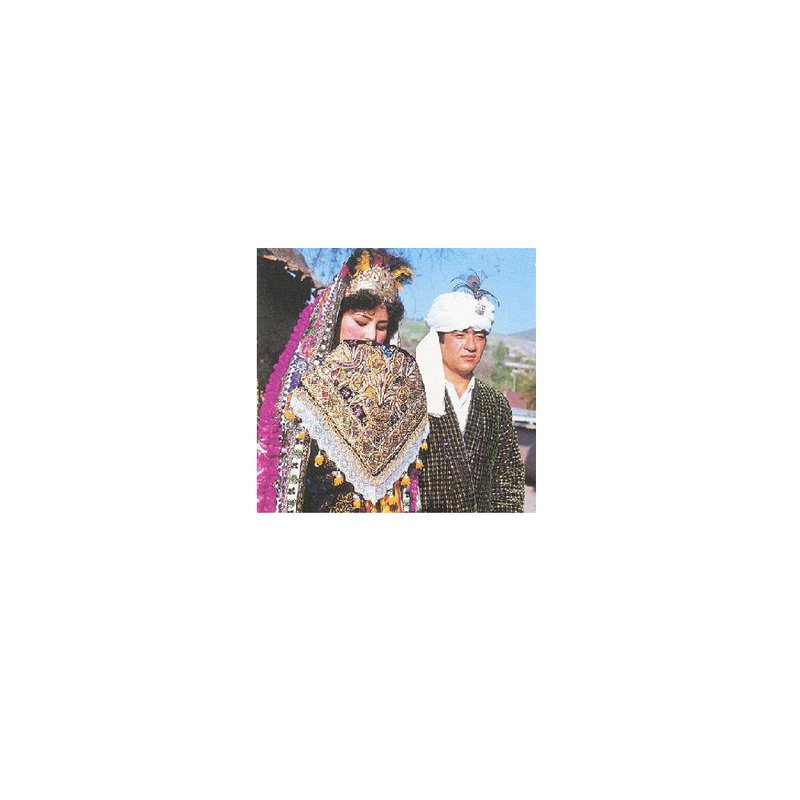 The bride carries one folded into a triangle over her right arm and uses it to partially hide her face during her ritual bow (kelin salom) to guests (see bottom photo). The pair of birds are symbols of mutual happiness. This would make a most luxurious pillow. 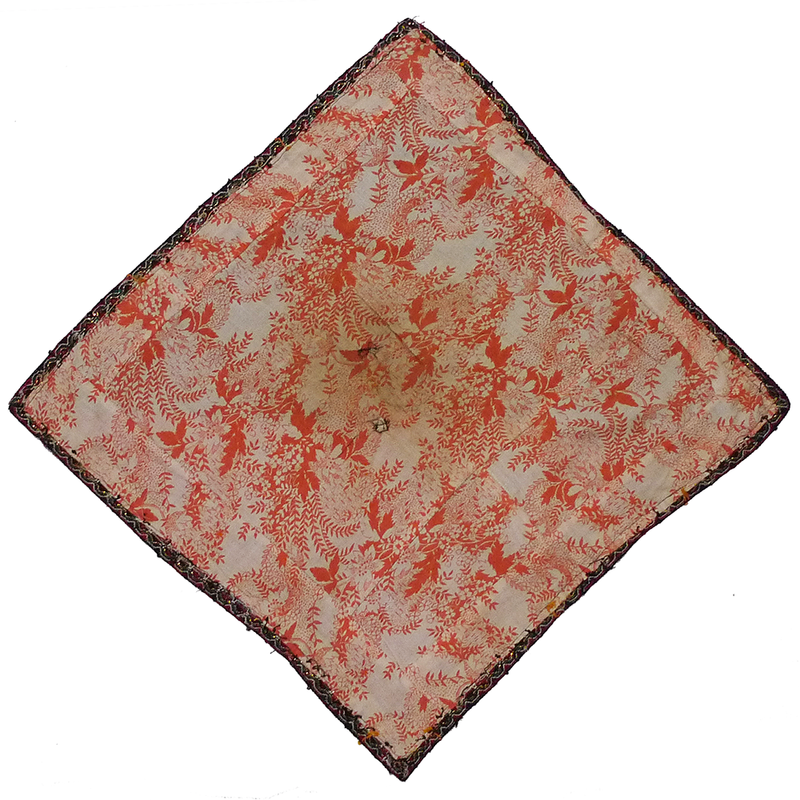 If you are interested in this wedding scarf and would like more information please contact Susan Meller.